This page is for all 2019 group art shows not covered under existing posts. This post will be updated throughout the year as new shows are announced and take place. If you have information on new shows or pictures from current shows then please send me an e-mail so I can update the information. Note that Shag Store events are listed separately. 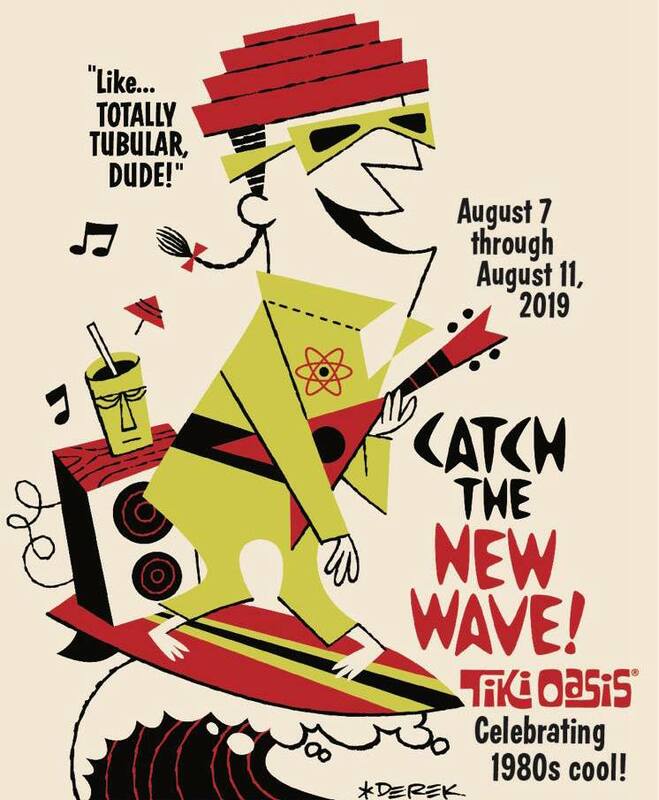 The 2019 group art events are below listed in chronological order. 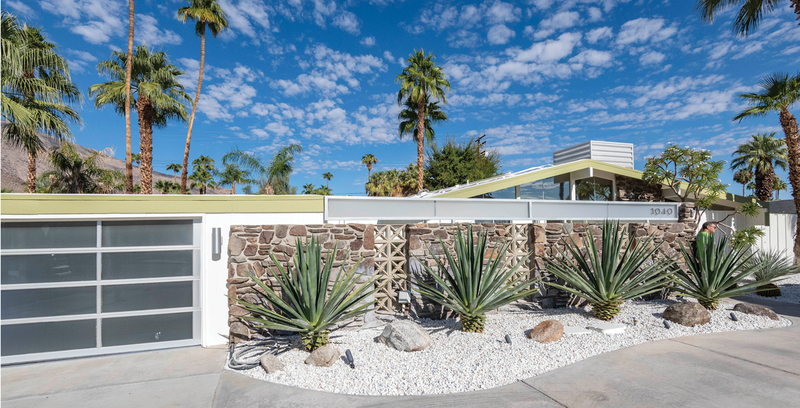 Modernism Week is an annual celebration of mid-century architecture, design, and culture at the Sunrise Lanai in Palm Springs, California. The Sunrise Lanai Poolside Party & Twilight Architectural Tour will take place from 5pm-8pm on Friday 23rd February 2019. There will be live music, cocktails and hors-d’oeuvres and tours hosted by Shag around Sunrise Lanai including visiting several mid-century modern condos. 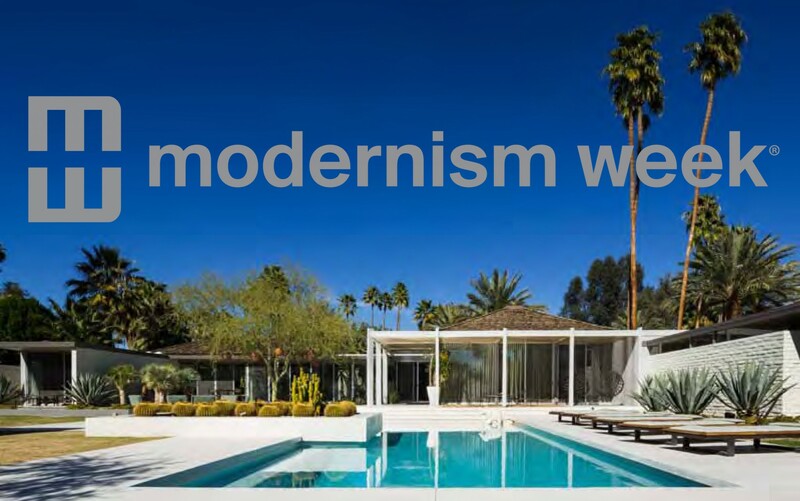 Tickets are US$100 each, for ages 12 and over, and are available from the Modernism Week ticketing page. 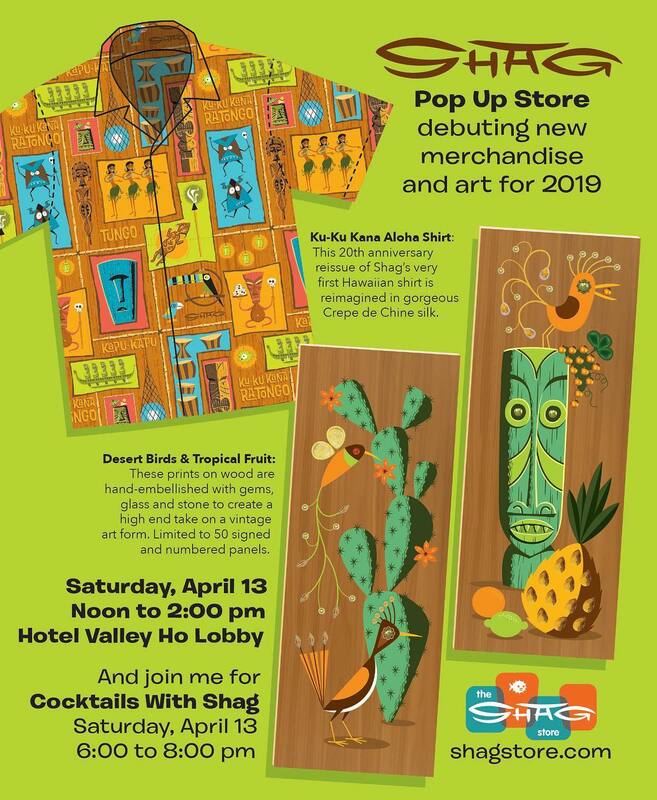 The Shag Store in Palm Springs is also holding two events during Modernism Week – Shag’s Modernism Print Release Party and Shag’s Architectural Print Party (or at least that is how they are advertised on the Modernism Week website – actually they are standard print release parties). 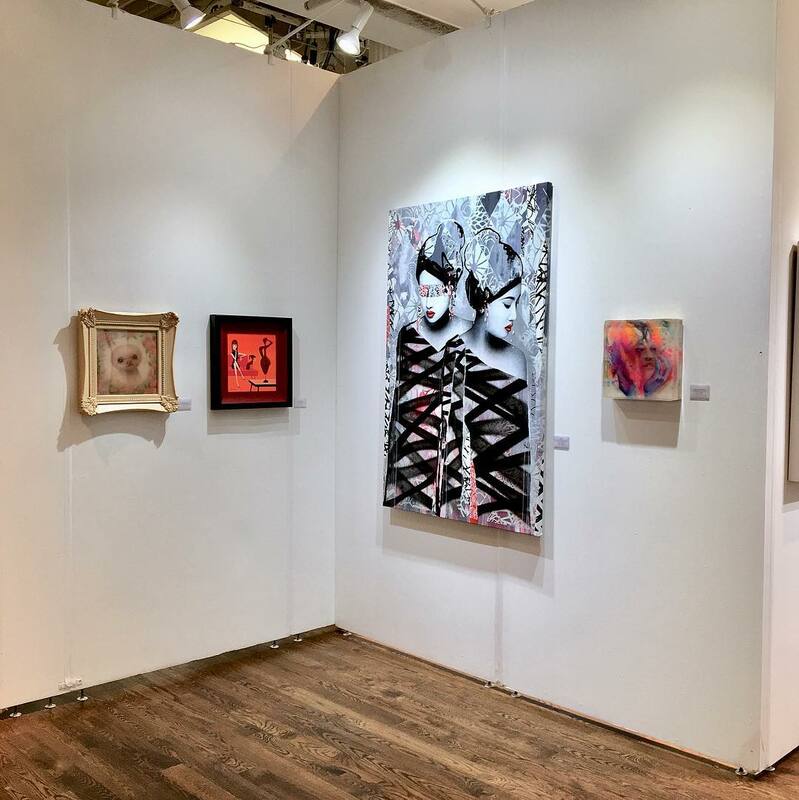 The Scope New York art fair ran from the 7th to the 10th March 2019 at the Metropolitan Pavilion in New York City. The Corey Helford Gallery exhibit at booth 9 included Shag’s acrylic on panel painting “The Invideist” (12” by 12”). The painting debuted a few months earlier at CHG’s Art Collector Starter Kit V in December 2018 – retailing at US$5,000. 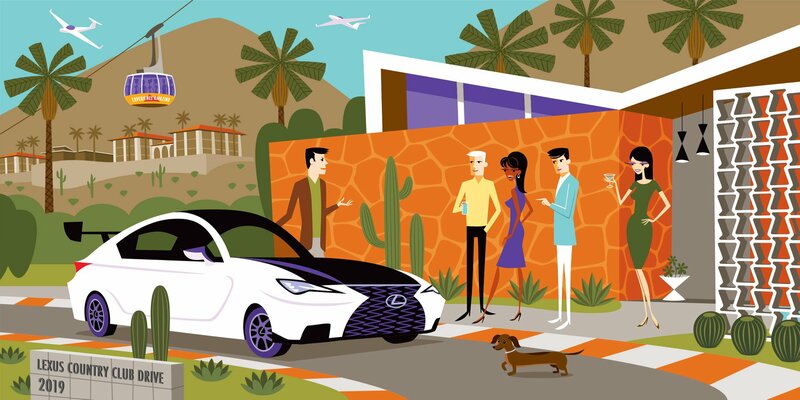 Lexus commissioned a new print for the launch of it’s RCF track edition of the LC500 sports car in Palm Springs on Sunday 31st March 2019. 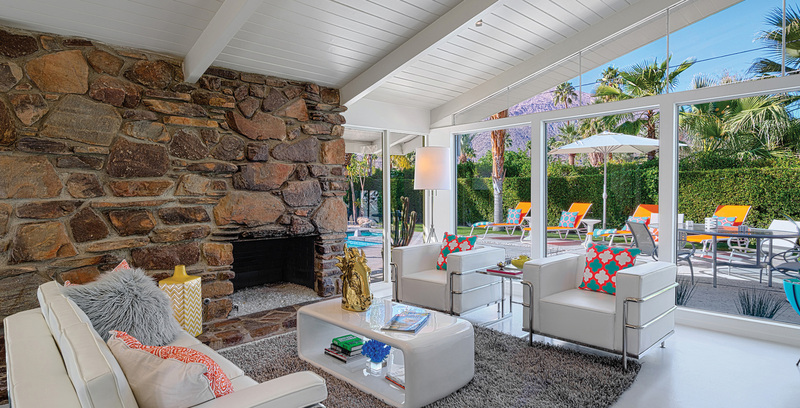 A variant of the print will be produced at the Shag Store in Palm Springs later in 2019. 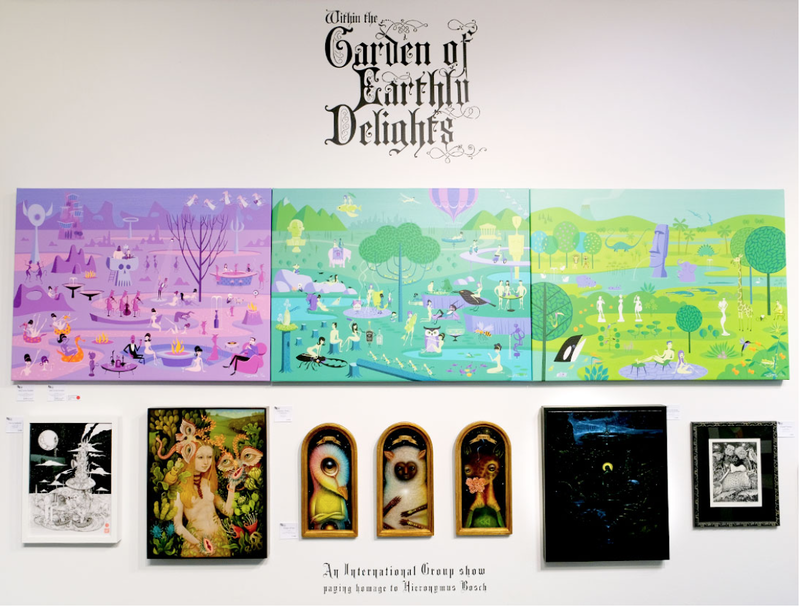 The Outré Gallery in Melbourne presents Within The Garden of Earthly Delights from 5th-24th April. 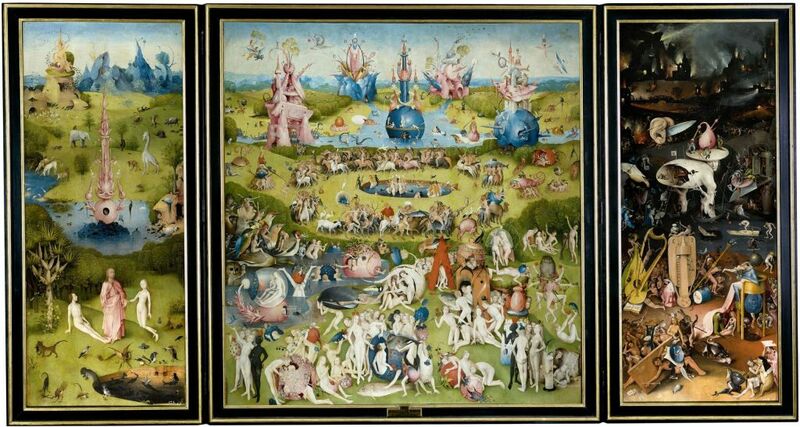 This group show of over 30 artists pays homage to Hieronymus Bosch’s most famous painting The Garden of Earthly Delights. The exhibition includes the Shag triptych of the same name from 2007’s The Flesh is Willing show at the Laguna Art Museum. 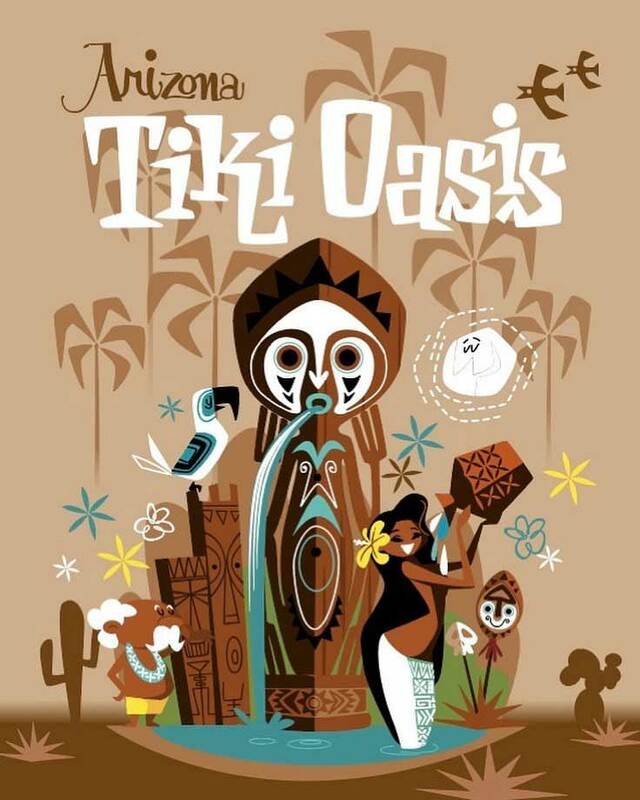 Arizona Tiki Oasis (AZTO) is a spring sister event to the long-running Tiki Oasis held during September in San Diego. 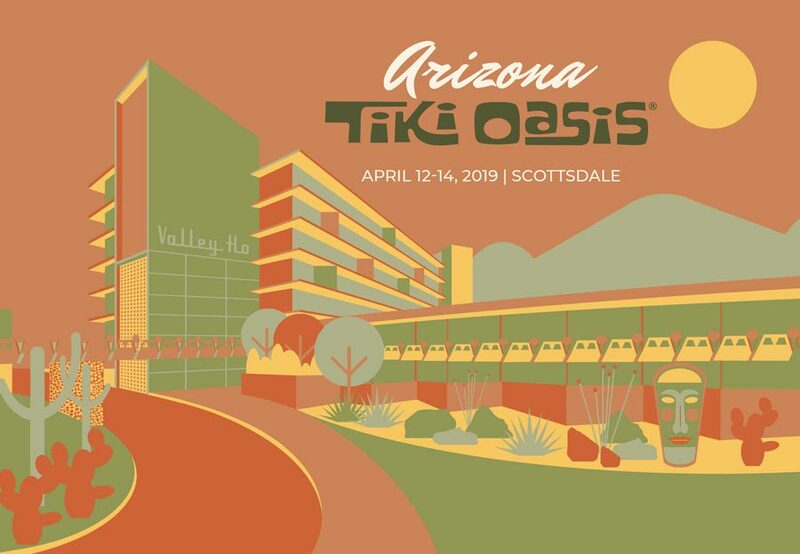 AZTO is held from 12th-14th April 2019 at mid-century Hotel Valley Ho in Old Town Scottsdale, Arizona. The Shag Store is a sponsor and market-place vendor with Shag’s work included in the art show. The artist reception is from 6-9pm on Thursday 11th April. 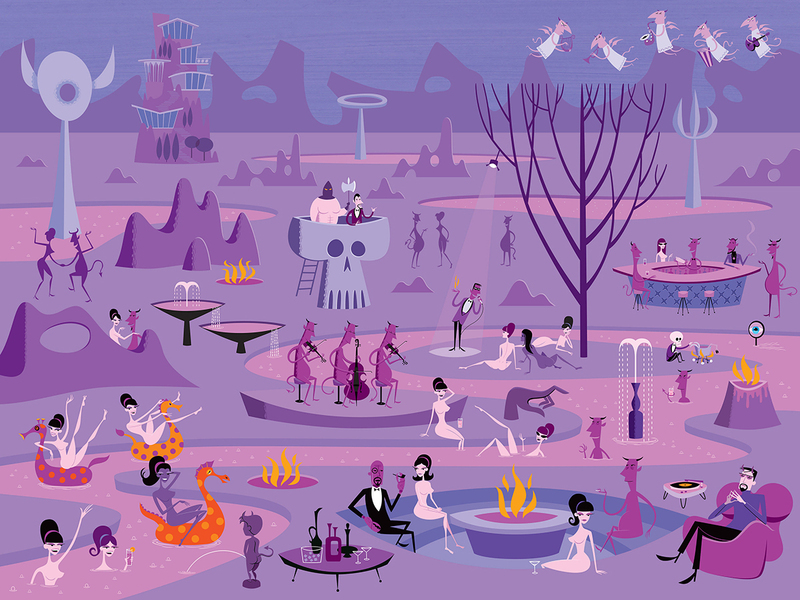 The Shag pop up store is from 12 to 2pm on the Saturday with cocktails with Shag following in the evening from 6 to 8pm. Swizzle sticks are free to cocktail party attendees at Shag Suite 4216 at the Hotel Valley Ho. The event site is https://aztikioasis.com. 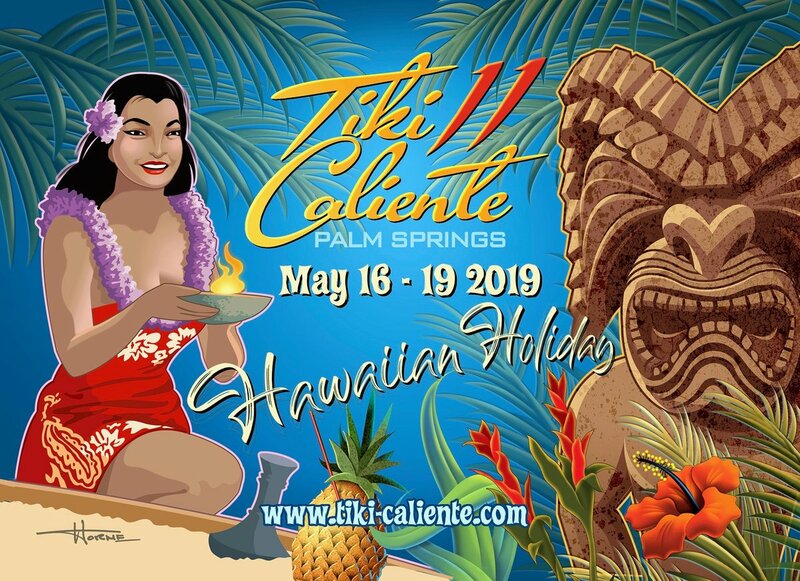 The Tiki Caliente 11 event at the Caliente Tropics Resort in Palm Springs, California is held from the 16th to the 19th May 2019. 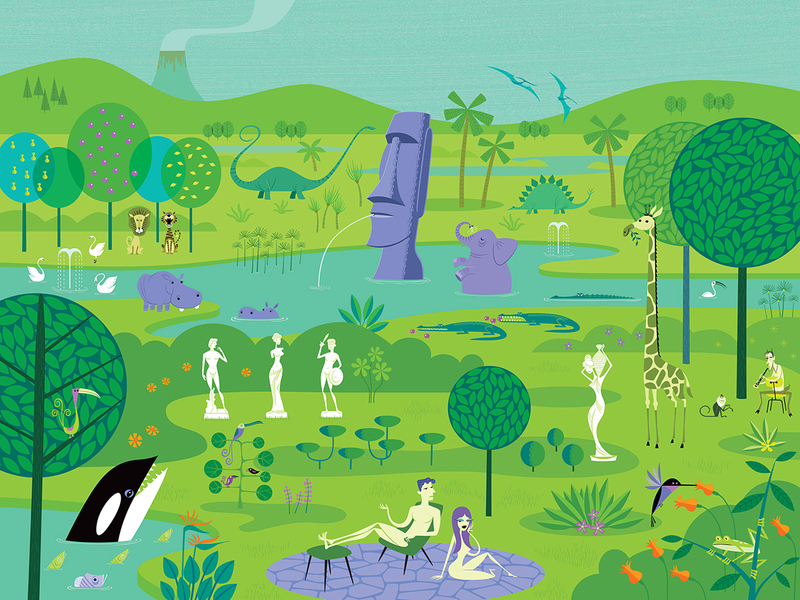 A new serigraph is due to be released as the punultimate fifth release in the Unthropology series depicting young women set in Polynesian Islands wearing traditional dress alongside traditional tiki carvings. 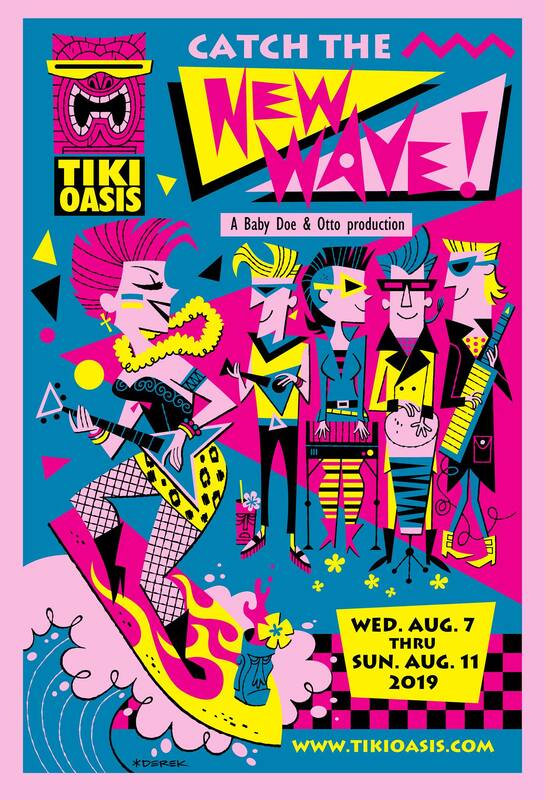 Tiki Oasis 2019 in San Diego opens at the Bali Hai on Wednesday 7th August and continues at the Crowne Plaza from Thursday 8th August to Sunday 11th August. This is the sixth and final release in the Unthropology series depicting young women set in Polynesian Islands wearing traditional dress alongside traditional tiki carvings.